During the potato harvesting season it is so easy to find excess potatoes that are less than perfect at local potato farms that they give away for free. 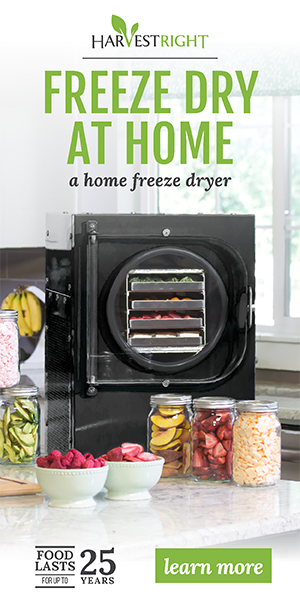 Typically we bring home 400 to 500 pounds of potatoes and while I do can a few, I dehydrate even more. I also donate quite a few of those to local soup kitchens and food pantries. That first year I did this, I had so many dehydrated potatoes and no idea how to use them because they were all sliced. During a search for what to do with dehydrated potatoes, I came across this sauce recipe and then altered it to suit me. It has served us well over the years and put all those potatoes to good use. 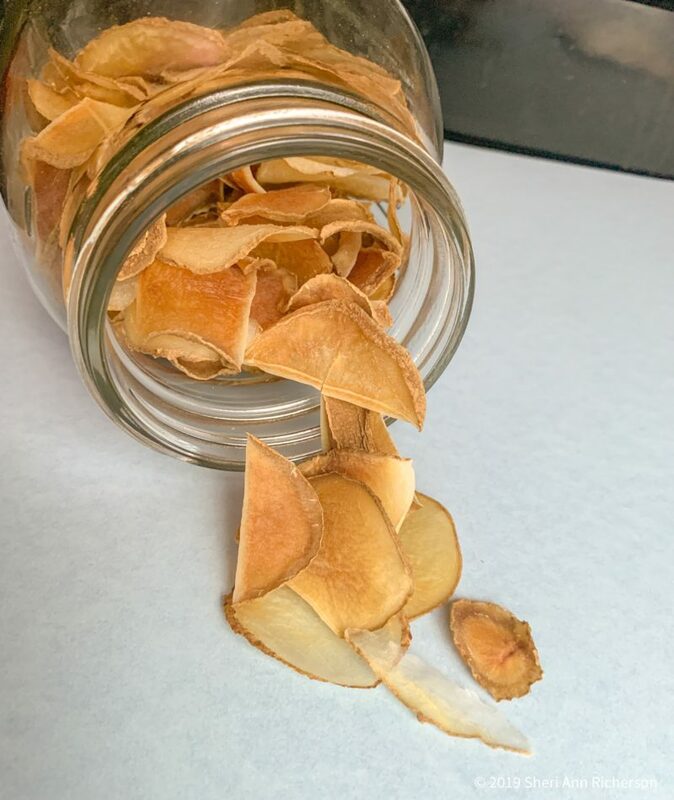 If you don’t live near a potato farm, watch for sales on potatoes and dehydrate those, but be sure to take the time to blanch the potatoes before you dehydrate them, otherwise they end up really starchy and not so tasty. This is an ideal side dish to store in your pantry, take camping with you or to use should the grid go down. 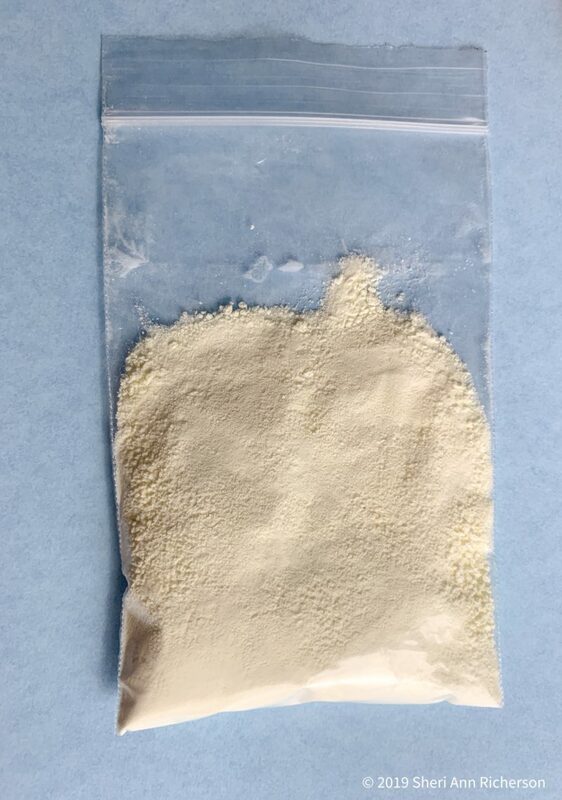 The recommended storage method, because it is easier for a lot of people, is a glass jar, but this recipe would be easy enough to seal in a mylar bag. 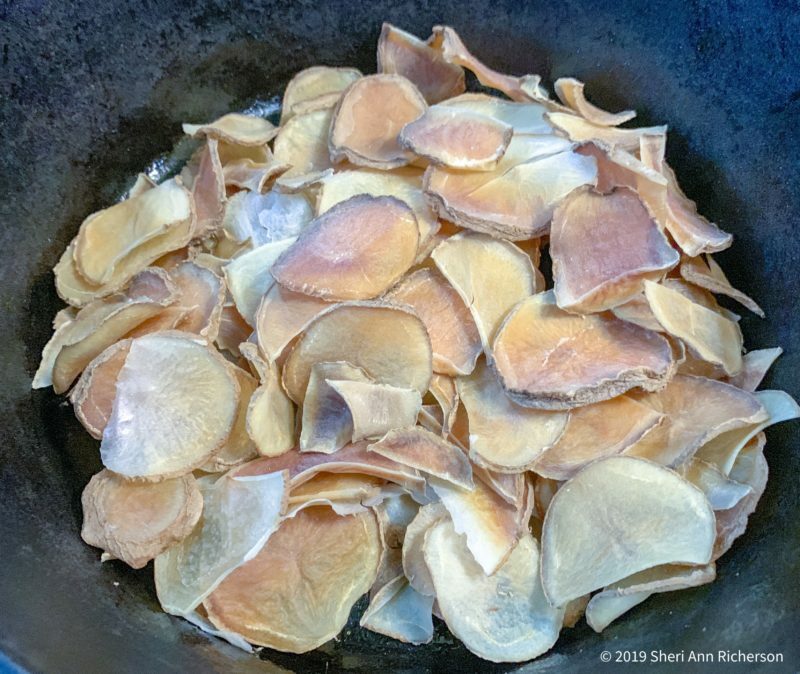 Using freeze dried potatoes instead of dehydrated ones would make the recipe last even longer! 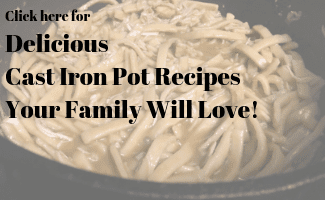 I have broken the recipe down into three sections. The first recipe is just the sauce mix. The second recipe explains how to package it and what else you need to add. 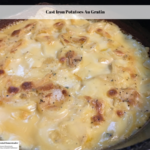 The third and last recipe gives the information needed to make this cast iron potatoes au gratin recipe. 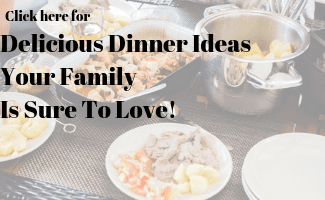 Be sure to print the recipe out and put it in the cans or mylar bags so you know how to make the recipe when you are ready to. This sauce mix works well with fresh potatoes too, so don’t let the fact that you don’t have any dehydrated potatoes stop you from making it. Here is the sauce mix recipe. Place all of the ingredients to make 1 package of sauce mix in a small zippered bag or mylar bag. Place an oxygen absorber in the bag. Fold the bag over to remove as much air as possible and seal it if you are using a plastic bag. 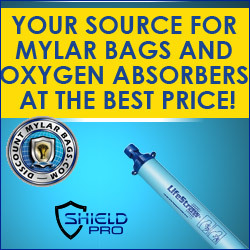 If you are using a mylar bag, seal it as normal. 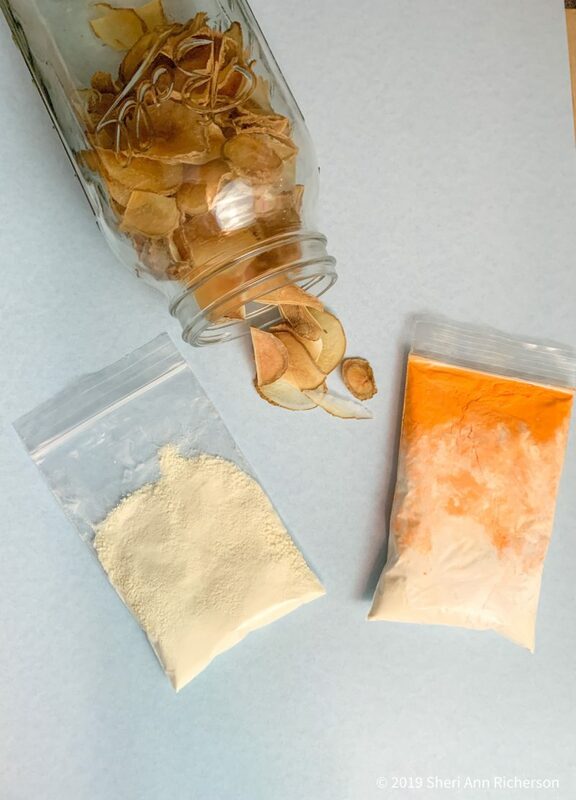 Set the bag aside to put in the same container as the powdered milk and dehydrated potatoes. *The amount of cheese depends on your personal preference. I use 1/4 cup. The recipe below explains how to assemble all of the ingredients needed, minus the water, to store. As explained above, the container you choose to store your mix in is up to you, however even if you use mylar bags, putting them inside a glass jar makes sure no critters that might sneak into your house have a chance to ruin your food storage. 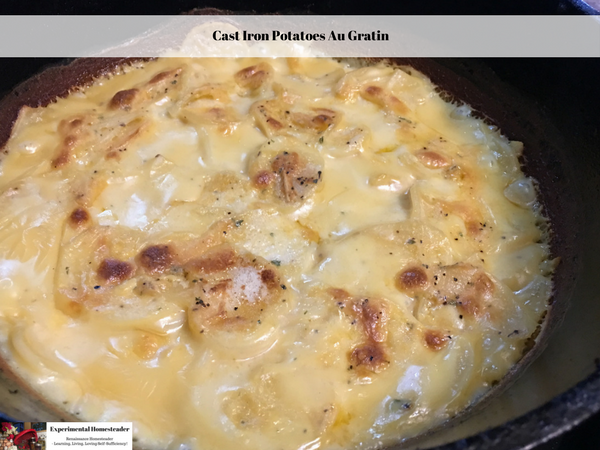 Here is how to assemble the cast iron potatoes au gratin recipe. 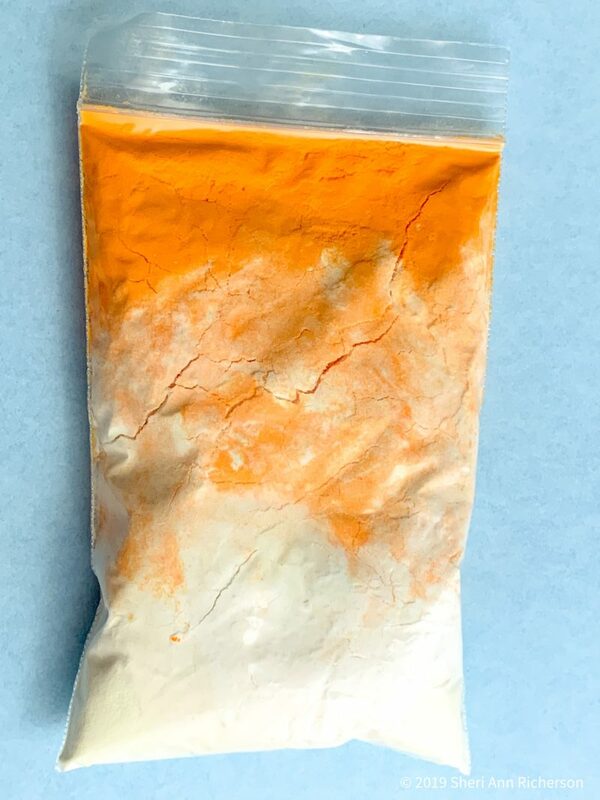 Put the powdered dry milk into a small zippered bag or mylar bag. Place the potatoes into the bottom of the jar or into the mylar bag. Place the packet of sauce mix and the packet of dry milk on top of the dehydrated potatoes. Seal the instructions in a plastic zippered bag and place them in the container or mylar bag with the other ingredients. Place lid on jar. If you are using a mylar bag, seal it as normal then place the sealed jar in a glass jar with a lid. Store the containers in a cool, dark and dry place until you are ready to use them. 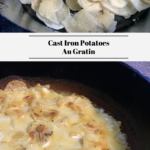 Remember all you need to make this au gratin potatoes recipe is the container with the pre-made mix above and water. 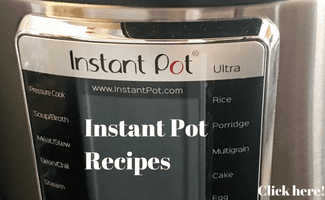 For those who are using this recipe as part of their long term food storage plan, canning or storing the correct amount of water with the jar or mylar bag is one way to make sure you have everything you need in one place. Put the dehydrated potatoes into a medium sizecast iron skillet. Sprinkle the sauce mix on top. 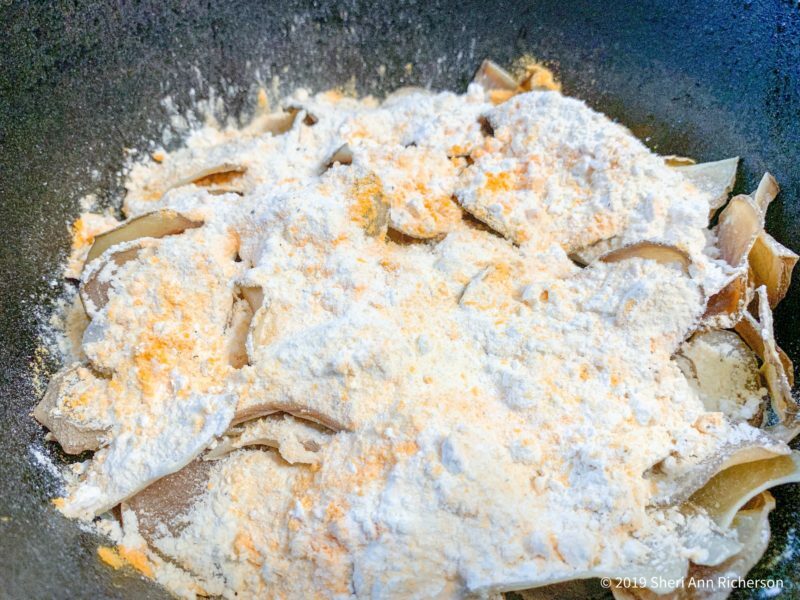 Dissolve the packet of powdered milk in the boiling water. Pour the boiling water on top of the potatoes and sauce mix then stir to combine. 40 to 45 minutes at 350 degrees Fahrenheit. 50 to 55 minutes at 325 degrees Fahrenheit. Note: You can substitute fresh or freeze dried potatoes for the dehydrated potatoes. To use fresh potatoes, choose 3 to 4 medium sized potatoes and slice them. Then bake them at 400 degrees Fahrenheit for 45 to 60 minutes or until the potatoes are tender. 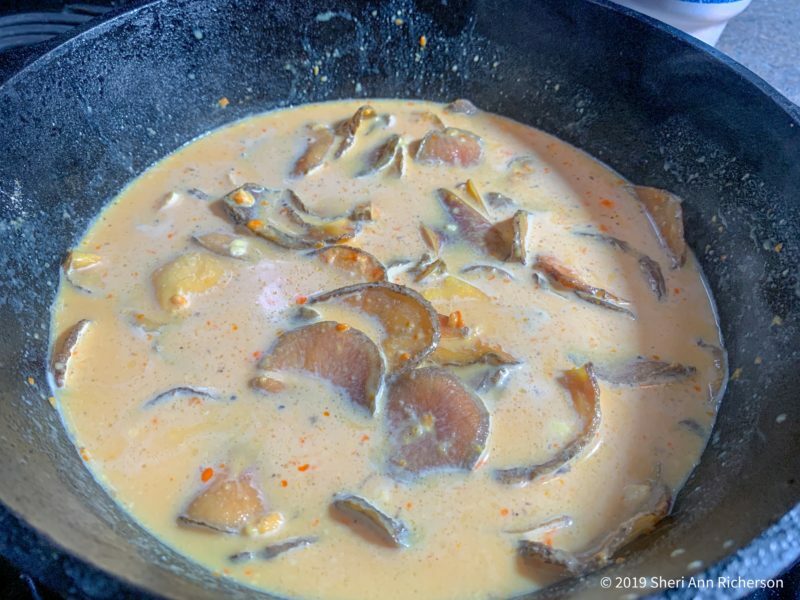 I hope you will give this sauce recipe a try even if you use it on fresh potatoes. In my opinion, this recipe is so much better than any of the boxed brands of au gratin potatoes. Plus if I am looking for something a little different, I can add 1/8 teaspoon of thyme or rosemary to the recipe. 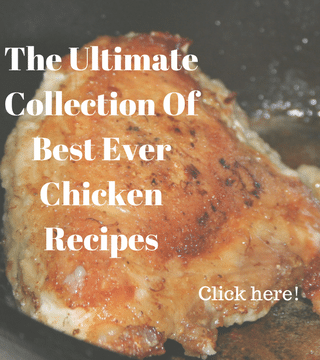 This is also a great recipe if your goal is to move away from processed foods. Not to mention it is as easy to make as the boxed varieties.